With a little bit of Ambush Advertising, a dash of Ambient Advertising, and sometimes a hint of a Loss Leader, engagement advertising is a method marketers can use to draw consumers into the action - clearly demonstrated in TNT’s Street Stunt. Engagement advertising gives people an opportunity to experience the brand: their products, a lifestyle or a service. It’s an increasingly popular style of marketing in the age of cord cutting and ad blockers. Engagement can happen anywhere - a pop-up shop, in store, at an event, or with help from another business - and people get to choose to take part in the action, quite unlike disruptive advertising that storms our television, desktop and commute. This perceived choice makes quite a difference in how the message is received as people aren’t on the defensive if they’ve selected to take part in something -- people are more positive toward a brand during an experience - 74% more positive, in fact. So how can you go about engagement marketing? It’s all up to your brand goals, and your creativity! For the 2012 Olympics, Samsung set up what they called “Galaxy Studios”. They created 6 locations that allowed passersby to interact with the Samsung devices; they hosted giveaways and activities but did not sell anything. The lack of salesmanship was a vital part of selling the brand - here was a place people could see the products, hang out with the staff and get a sense of what the Samsung brand really is: fun, personable and technologically advanced! Throughout the Olympics they also ran a collecting contest of Samsung pins, giving people more incentive to get to the Studios and chat with the staff! Living in Westeros comes with its own set of challenges, like random or organized poisonings, getting pushed out the Moon Door, or brutal event-based massacres. Somehow it’s still a captivating land that viewers wish they visit. 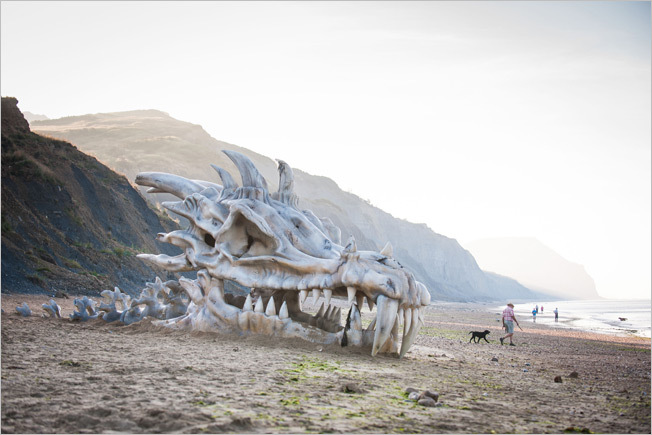 For the release of Season 3 they brought a little bit of the Seven Kingdoms to Dorset’s shoreline - a 40 foot dragon skull. It reminded people of the upcoming season, and gave them an experience that put them at the heart of the show. NBA All-Star Derrick Rose, or “D Rose” partnered with Adidas to create a unique experience for basketball lovers in East London. Using social media to get the word out, Adidas UK devised a way to incorporate an NBA experience into their shoes. They lined a small room with a 10-foot shelf (the same height as the rim of a basketball hoop) full of pairs of signature D Rose shoes. Contenders were given 24 seconds to jump to the shelf and grab a pair of shoe, if they got them down, they could keep them. It recreated the pressure and dimensions of an NBA game, and gave Adidas an amazing opportunity to engage with their customers. Plus, every pair of shoes given away that day were supercharged with a pretty great story that undoubtedly got told over and over to anyone that would listen. Engagement marketing must meet your goals while fitting within your budget -- big stunts can cost a lot of money. For a local restaurant it might mean setting up a pop up patio in a park (check your city bylaws! ), for a gym it could mean offering a free class, for a dance company it might be a flash mob. Whatever the circumstances, it must make the participants feel like they’ve engaged with your brand in a meaningful way, that way they’re likely to seek you out when they’re ready to convert. And even if they don’t, you’re still likely to end up with some free hashtag love.